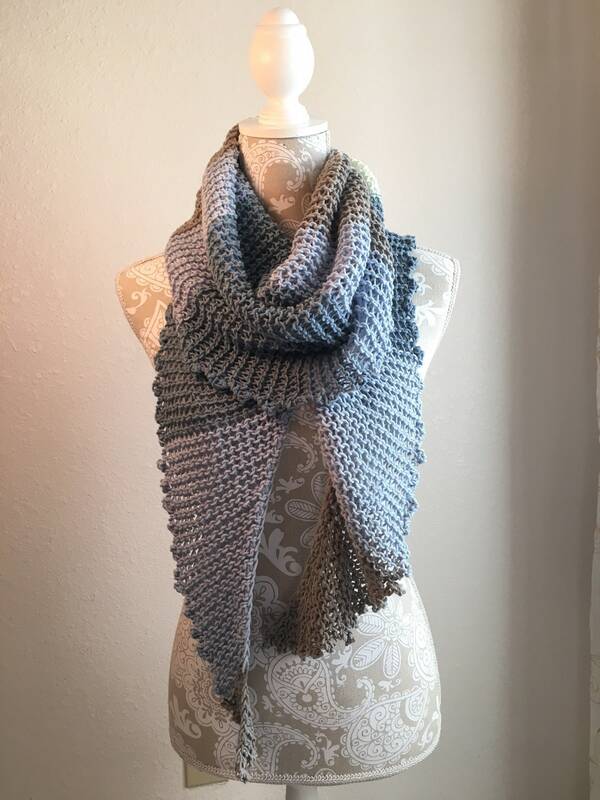 Loom knit this lovely scarf on any 3/4” gauge round loom with a minimum of 30 pegs. 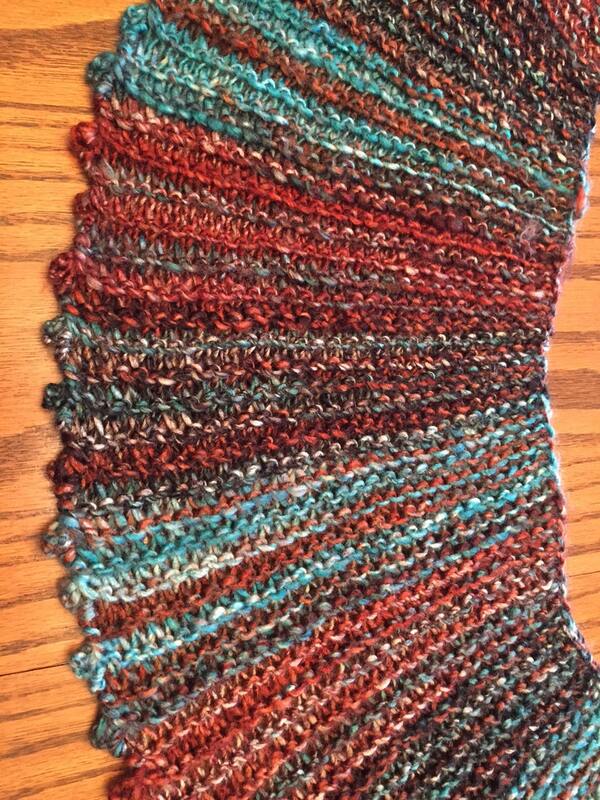 Or increase the number of pegs you cast on to make the fabric wide enough to be a shawl or wrap. 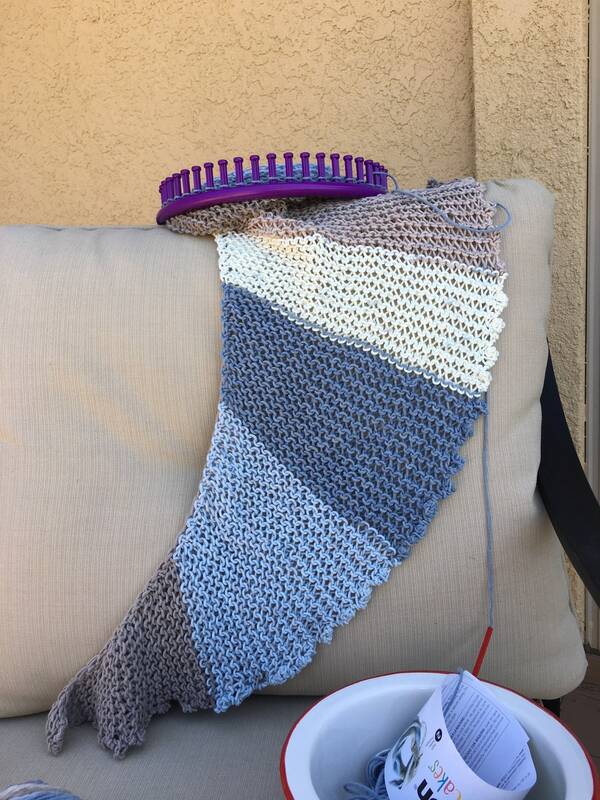 The blue/tan/white shawl was knit on the purple Knifty Knitter 5/8” loom using all 48 pegs. 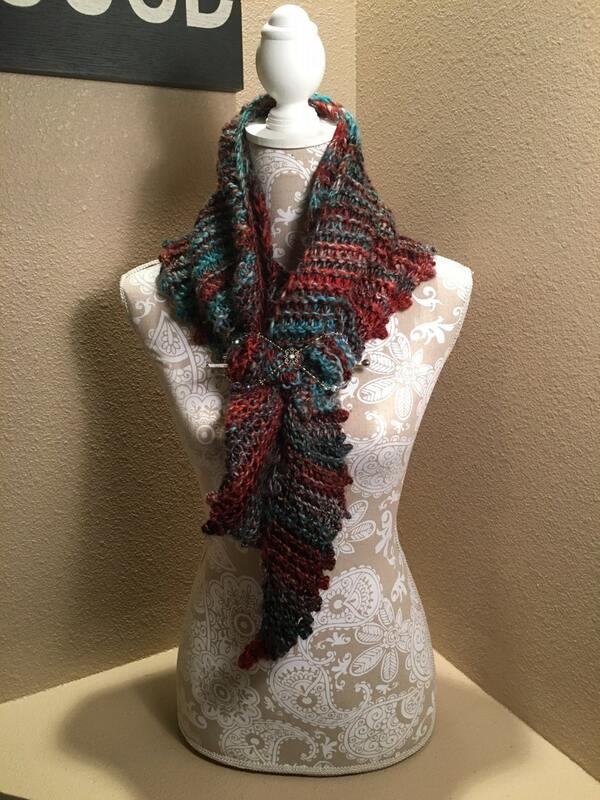 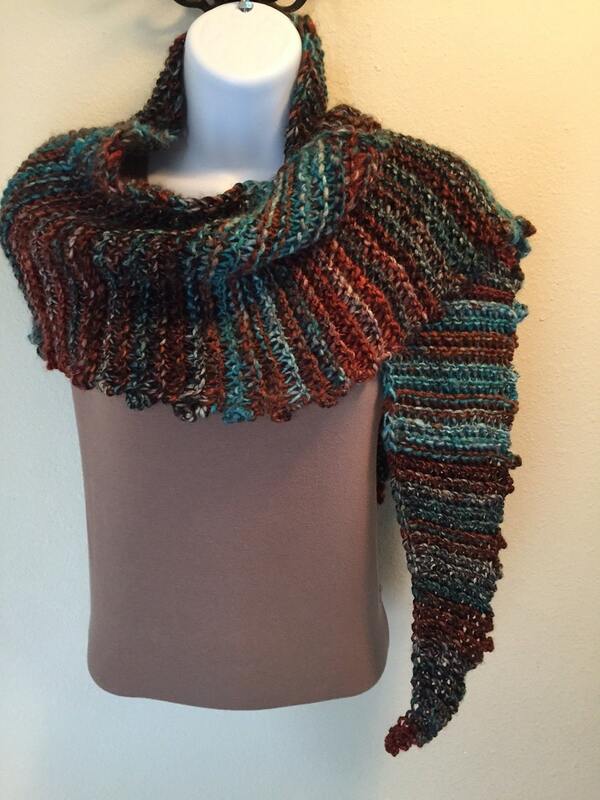 This scarf uses approximately 250 yards of a medium weight yarn. 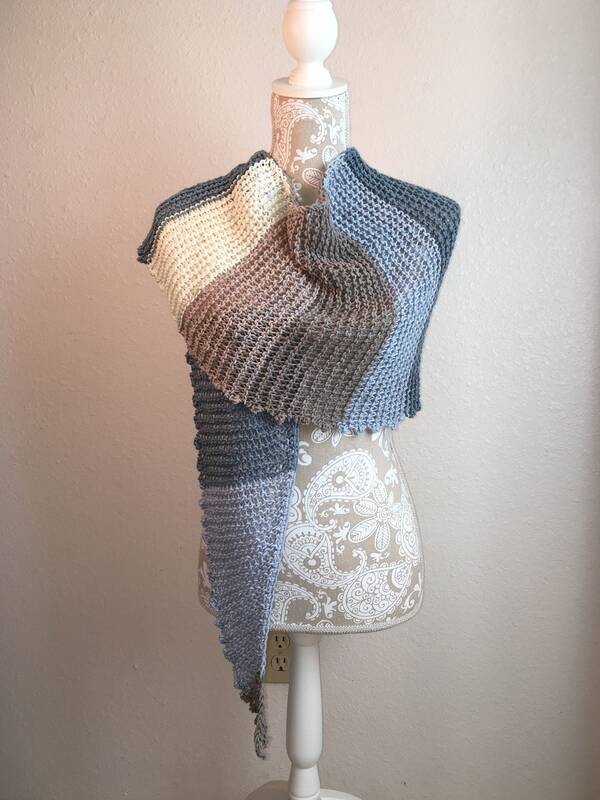 Yarn Bee’s Aurora Borealis in Mustang colorway was used in the sample. 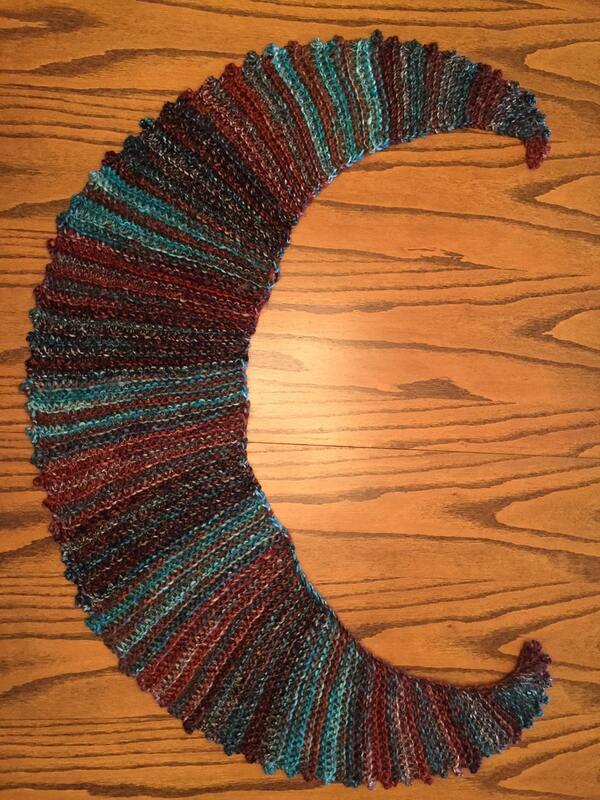 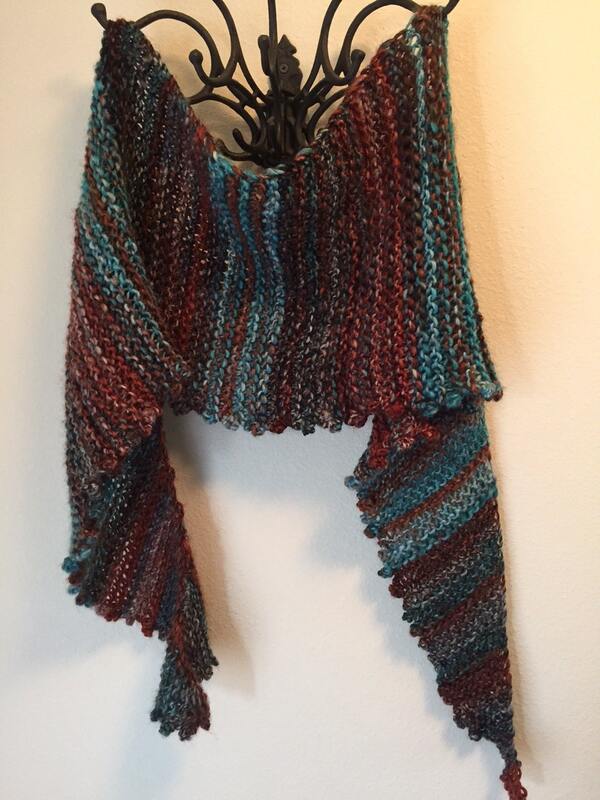 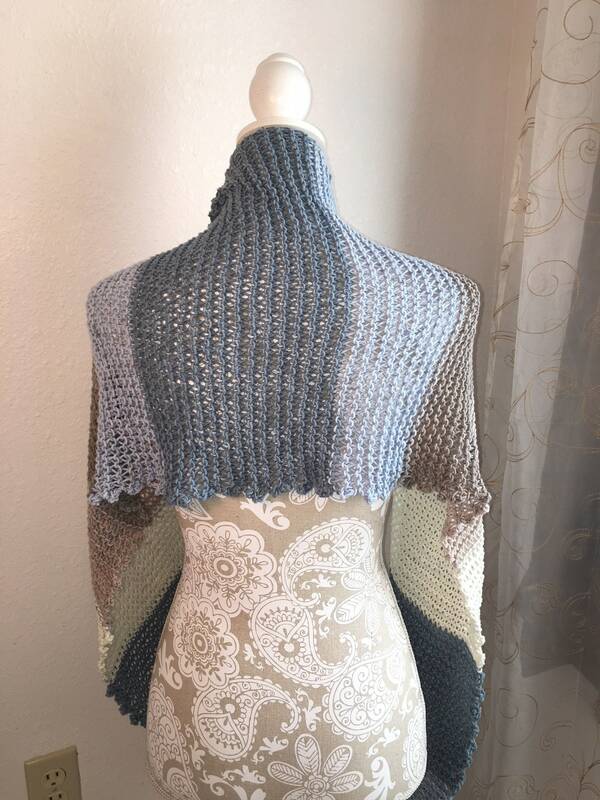 The shawl project was knit using approximately 420 yards of Caron Cotton Cakes yarn in the Nested Blues colorway. 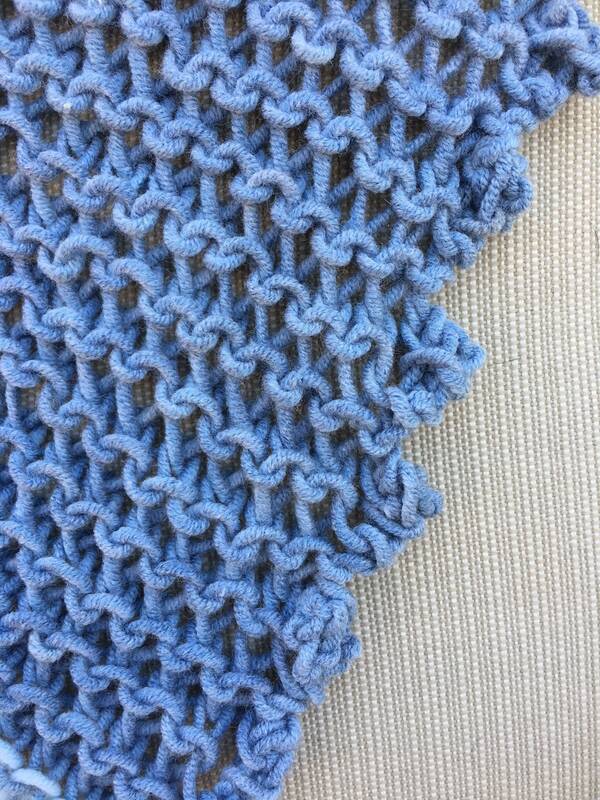 This pattern is suitable for an intermediate loom knitter and comes with a photo tutorial.